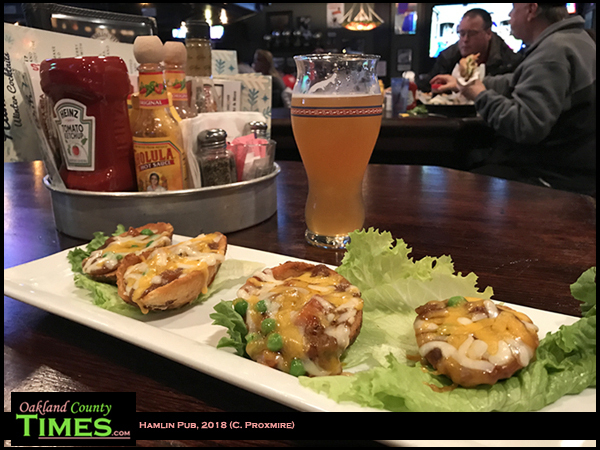 Rochester Hills, Clarkston, Chesterfield, Shelby Township, MI – I’ve heard the name Hamlin Pub for years and finally had a chance to try it with a friend of mine for lunch a few weeks back. The weather was cold and gloomy, so it was a great day for some comfort food. 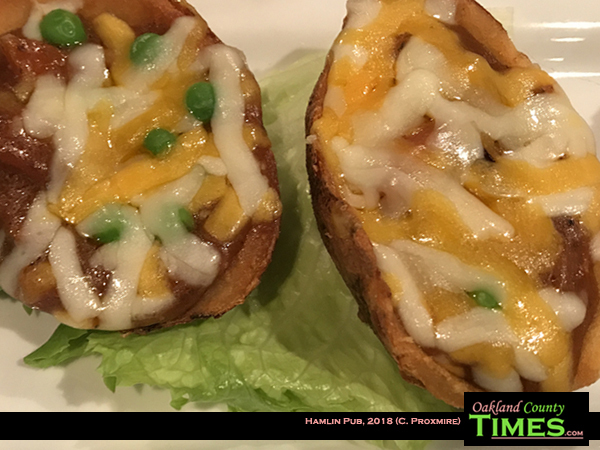 On special were Shepherd’s Pie Potato Skins, which are an interesting twist on classic bar food, even topped with little green peas. That warmed me up along with a specialty cocktail called a Bourbon Bon Bon, made with Maker’s Mark, Crème de Cocaco and cream. 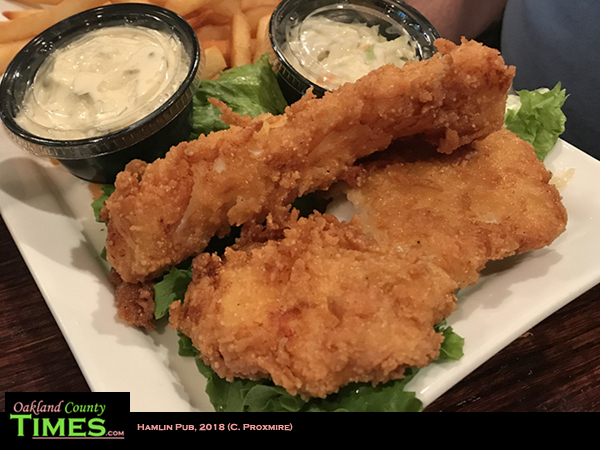 My friend, who was excited to see soccer on some of the pub’s many TV screens, ordered the fish and chips. 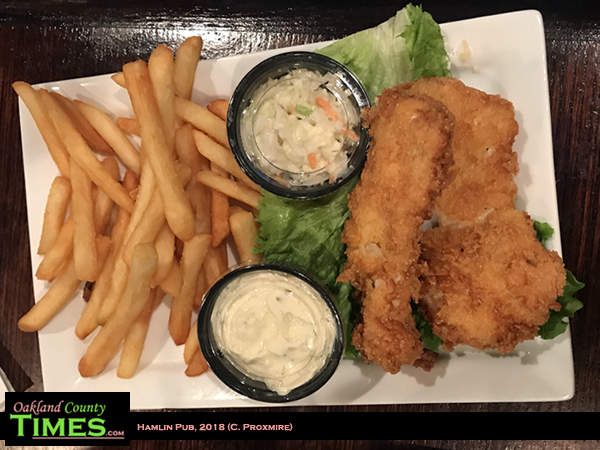 The crispy beer-battered cod came with housemade coleslaw and nice thick fries. 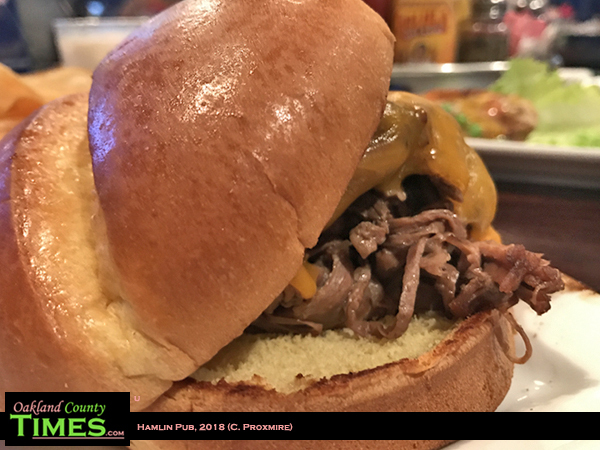 I had “The Big Brisket,” sandwich, which is “slow roasted all American beef brisket served on a toasted pub bun with melted sharp cheddar cheese, caramelized onions and horseradish crème served with a side of Jim Beam sauce.” It was as delicious as it sounds. 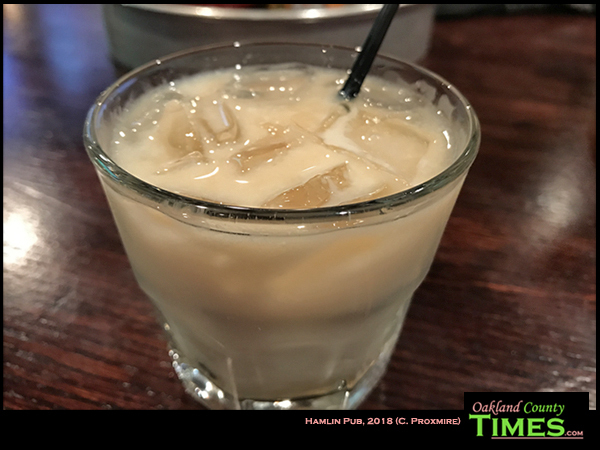 The motto for Hamlin Pub is “Where everyone’s a regular,” and that is the vibe we experienced. 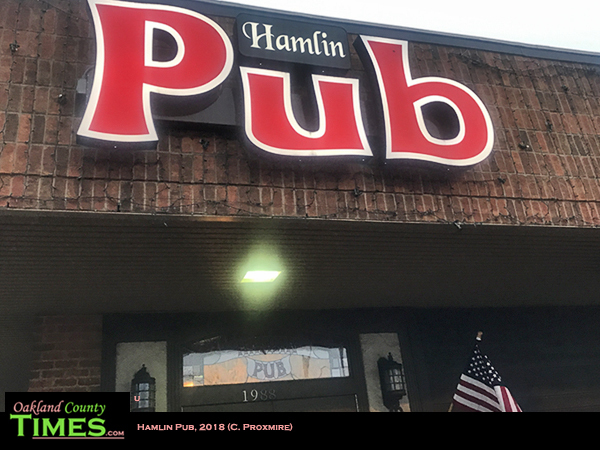 The menu has a variety of items including burgers, wings, salads, sandwiches and drinks with names like Ham-la-rita, Hamlin Trash Can and Voodo Bucket. Explore more dining options at our Reporter Food page!